As your cat ages and starts to enter senior territory, their food should change with them to ensure that they continue to get the vitamins, minerals, and nutrients that they need to stay healthy. The best senior cat food contains exclusive ingredients that support joint health, immune health, and much more. 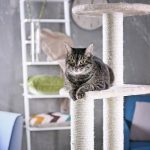 However, there are hundreds of senior cat food brands available, and this can make it very hard to compare them in order to find the best one possible. This is why we've done our research and picked out five senior cat foods, and we've also written a quick buying guide that will tell you what to watch for in your senior cat food. Since canned cat food is moist and soft, it's often many senior cat parent's go-to when it comes to their cat's food type. Canned food has a higher moisture content, it's easier on your cat's digestive system, and it usually contains a higher level of protein than other types of senior cat food. Dry cat foods are extremely common in the cat food world because dry food allows your cat to get an extremely high level of vitamins, nutrients, and minerals packed into a long-lasting food. You can get different flavors of dry foods, different formulas, and a host of brands. The final type of cat food type is semi-moist or sometimes called soft dry cat food, and this is one slightly more difficult to find because it's not as popular as the other two types. However, this type of cat food combines elements of dry and wet food to create a unique blend that's easier for senior cats to eat. Once you settle on a type of cat food, it's time to start making a list of the things that you want to see in your senior cat food's formula. 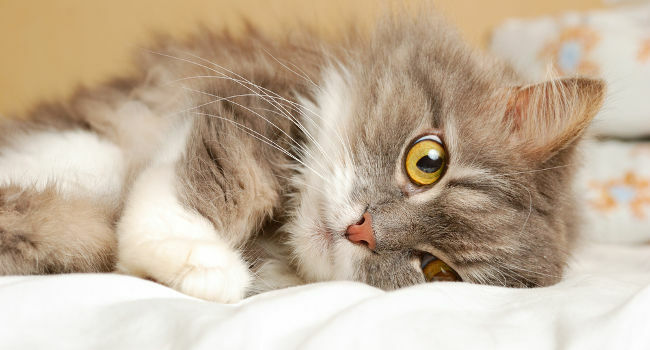 These ingredients will help to ensure that your cat has everything they need to stay healthy. Your cat needs antioxidants in their food to help support a healthy immune system, cell health, and support for all of their systems. These antioxidants can ensure that your cat looks and feels younger as they age, and antioxidants can also help repair any existing damage that your cat may have on a cellular level. Cats tend to get less and less active as they age, and this can result in unhealthy weight gain if they eat a food that is too calorie-rich. Look for a senior cat food that has a lower calorie content and a higher protein content because this can help keep them at a healthy weight. A lot of older cats start to develop digestive issues, and getting a food that has a higher level of dietary fiber can help keep their digestive system regular. Look for food that has dietary fiber listed because dietary fiber has nutrient and carbohydrates that help increase bulk. Grains are very popular filler agents in cat foods that help to bulk up the food's formula without adding a lot of nutritional value for your cat. They can also cause digestive upset because they're difficult for your cat to digest, so you want to find a food that is grain-free if possible. Kidney issues are one of the biggest health problems with senior cats, and ensuring that their food has a higher moisture content is key to helping prevent renal failure. Since cats don't usually drink a lot of water on their own, having a higher moisture content in their food can ensure that they get enough water throughout their lives. Protein is important at every stage of your cat's life, but it's especially important for senior cats because protein will help them keep their muscles, coat, and skin healthy. The protein content should come from an animal source, and it should be one of the first ingredients listed on your cat food bag. Hill's specially formulates this dry food to be easy for senior cats to digest while providing the support your cat needs. Additionally, it comes with triangular kibble that is easy for your cat to eat. The nutrients in this food are excellent for your senior cat's eyes, kidneys, joints, and heart throughout their lives. The antioxidant blend in this dry cat food supports your cat's immune health, and it gives it a needed boost that helps to ensure that your cat stays healthy and happy. There are no artificial colors, preservatives, or flavors in this food, and this makes it a healthier choice that is easier on your cat's digestive system. The easy to digest ingredients come packed with great levels of dietary fiber that help to keep your cat's digestive system regular every time they eat it. Senior cat parents liked that Hill's Science Diet came in a triangular shape that helped to clean their cat's teeth each time they had a meal to prevent dental problems. Senior cat parents didn't like that the kibble pieces were slightly larger and more difficult for their cat to eat. You can choose from an 11 and up formula or a seven and up formula with this wet cat food, and it comes in four different flavors. You can 24 cans per order, and this ensures that you have enough for your cat. The softer pate formula makes it very easy for your senior cat to eat, even if they have dental problems or missing teeth. The formula comes with a mix of vitamins and minerals to help support your cat's healthy digestive system, immune system, and joints. This food also comes with a slightly lower protein content, and this allows you to safely and effectively help your senior cat get to and maintain a healthy weight. Each can contains 25 essential vitamins and nutrients that help to ensure that your cat has everything they need to stay healthy. People who had senior cats that bought this food for them were happy that this food comes in several different flavors in a soft pate. People who bought this food for their senior cat weren't happy that this food has a stronger smell that seems to linger around. 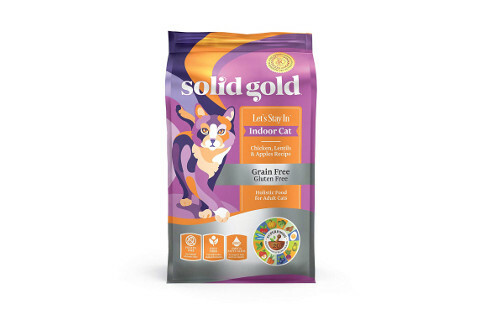 Solid Gold's formula comes designed to prevent hairballs, soothe the digestive system, and it contains a high level of fiber to keep them regular. You can pick from two different protein sources, and it comes with apples and lentils to round out the formula. The first ingredient in this food is the protein source, and it comes from a trusted supplier around the United States. It has a strong blend of fatty acids to helps support a healthy coat and skin, and it prevents flaking, dry and dull fur, and dry spots. This cat food comes formulated with 12 superfoods including fish, pumpkin, broccoli, eggs, blueberries, carrots, apples, avocado, beets, peas, nuts, and more for complete nutrition. The probiotic content in this food help to balance the bacteria levels in your cat's system, and this works to promote healthy digestion. Cat parents who bought this food for their senior cat were pleased that it has a healthy blend of 12 superfoods and probiotics to help soothe their digestive system. Cat parents were not pleased that this food was slightly more expensive for the amount you get per order. 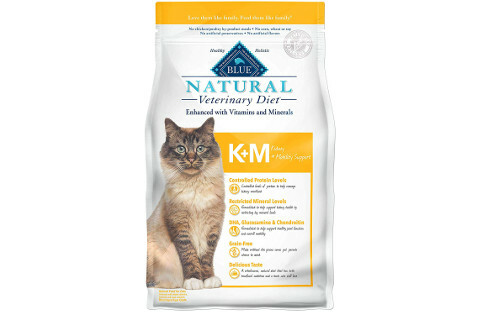 Blue Buffalo's Natural Veterinary Diet comes with extremely controlled levels of protein to help support and maintain kidney health. It also strictly control the levels of sodium and phosphorous your cat eats, and this can help with their kidneys as well. There are no grains in this food, and this makes it easier on your cat's digestive system each time that they eat it. 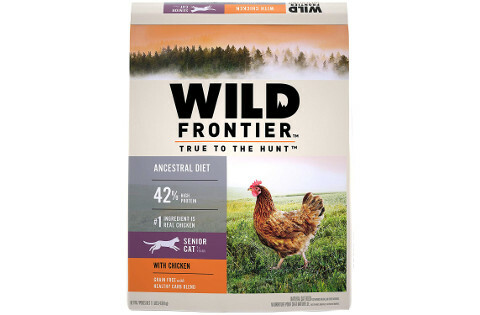 Additionally, this food is formulated to have a taste that will appeal to your cats, and this entices them to eat it every day without a problem. Your cat will get DHA, glucosamine, and chondroitin to help ensure that they have healthy joint function as they age. Additionally, these ingredients also help to support a healthy brain, eyes, and immune system. It has a moderate protein level to ensure that your older cat doesn't gain unhealthy weight. 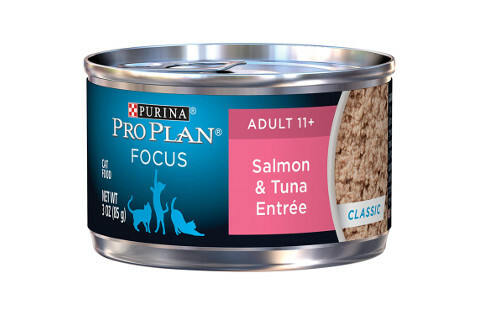 Senior cat parents who bought this food were happy that it came with a very controlled formula that had exact protein, sodium, and phosphorous levels. Senior cat parents did say that this food was more expensive, even for a renal-specific formula. Instinct's limited ingredient formula is excellent for cats that have sensitive stomachs because grains can be difficult to digest. You can choose from two sizes and three proteins including duck, turkey, or rabbit to add variety. This food comes made with one protein source and one vegetable, and it doesn't contain any grain, eggs, dairy, fish, beef, wheat, soy, corn, artificial colors, artificial flavors, or carrageenan. It comes packed full of lean protein that helps to support your senior cat's lean muscles, joints, digestive system, and skin and coat. Your cat will get a completely balanced meal each time they eat this food, and it contains higher levels of fatty acids to help ensure that your cat's skin and coat are healthy throughout their lives. You're able to feed this wet food to your cat by itself, of you can feed it as a mix with dry kibble. People who owned senior cats liked that this food came with three different protein sources that were slightly different because this decreased the chances of triggering digestive issues. People who owned senior cats didn't like that his food was inconsistent between orders. This dry cat food comes in seven different formulas ranging from indoor cat to senior and more. You can also pick from three different sizes that allows you to pick the best size for your cat' eating habits. Your cat will get a blend of antioxidants, vitamins, and minerals that help to support your cat's systems as they age. It has a good level of Taurine to help ensure that your senior cat's cardiovascular system stays healthy and functioning at the best levels possible throughout your cat's life. It comes with a higher protein content with lower carbohydrates that ensures that your senior cat will gain healthy weight levels, and it'll also work to maintain these levels without going too high. 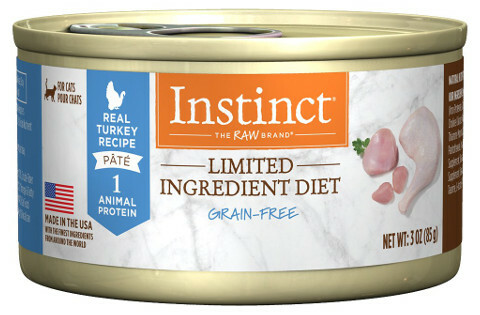 Finally, this food is free of grains to make it easier to digest every time your cat eats it. Cat parents who bought this food to help their senior cat gain weight were happy that it had a higher protein content with a lower carbohydrate content. Cat parents were not happy that this dry cat food mentioned that their cats seemed to stop eating it after a few days. What's the Best Senior Cat Food? 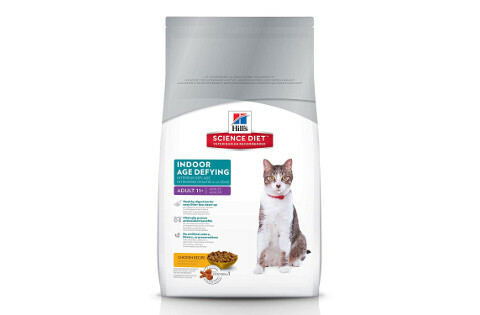 Our pick for the best cat food for older cats is Hill's Science Diet Dry Cat Food, Adult 11+ because it comes in two different senior formulas. It also works to ensure that your senior cat has a healthy heart, kidneys, eyes, and joints with an exclusive blend of antioxidants and minerals. We also chose this food because it comes with a higher amount of dietary fiber that can keep your cat's digestive system regular, and the kibble cleans senior cat's teeth each time they eat it. Finally, there are no artificial colors, flavors, or preservatives in the food.